[Update: The Nippon Maru is closed for renovation until April 2019.] 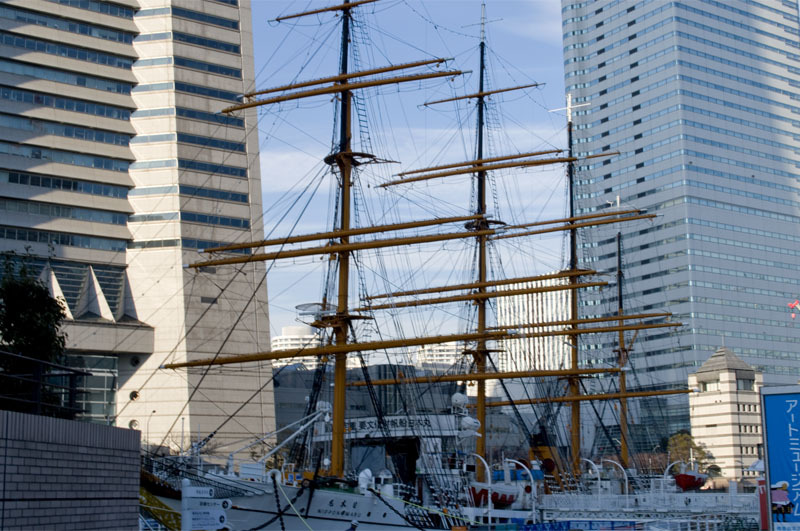 The main museum building has exhibits on the 150-year history of Yokohama port, but the main attraction is the Nippon Maru, a real-life sailing ship built in 1930 and retired in 1984. You can walk around admiring the big white sails and the gleaming wooden deck, then go below decks to inspect the bridge, the officers' saloon and a cadet's room.